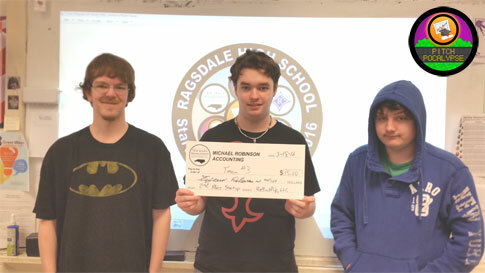 On Friday, March 18th, the top four teams in Ragsdale High School’s Game Design class competed in ReBuildUp’s PitchPocalypse business plan pitching contest to finish up the Winter 2016 Startup Program sponsored by Michael Robinson Accounting. Team #2 took the top spot. Team #3 came in 2nd place with a Billy Maze themed game. 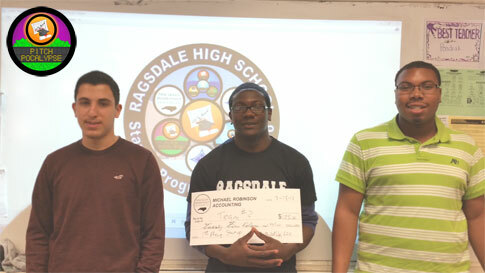 Team #4 came in 3rd for their fashion app idea. 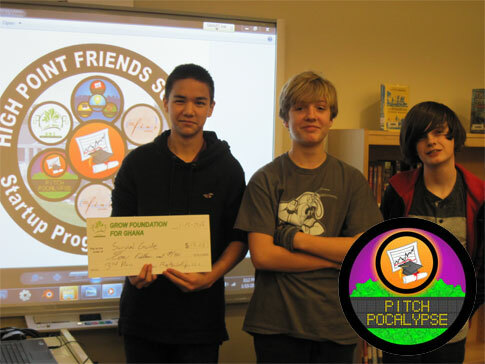 Congratulations to the winners of the PitchPocalypse business plan pitching contest. 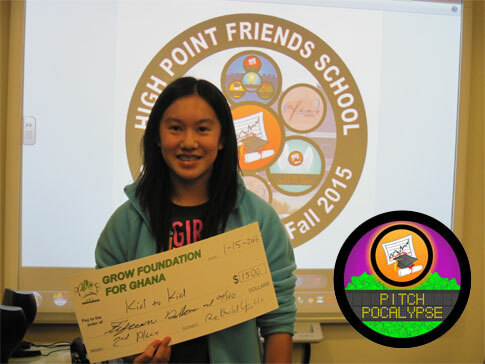 This event completes the 8 week Fall 2015 Startup Program at High Point Friends School sponsored by Grow Foundation For Ghana. 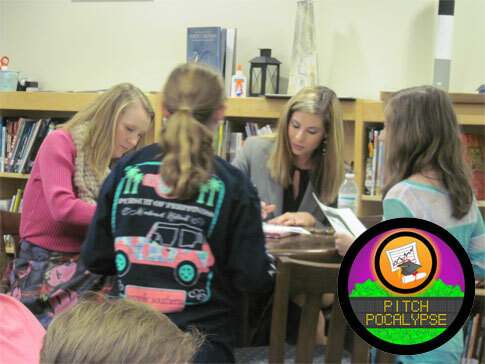 Special thanks to High Point Chamber of Commerce’s Chief Operating Officer Rachel Moss and Director of Communications Sarah Belle for serving as contest judges. 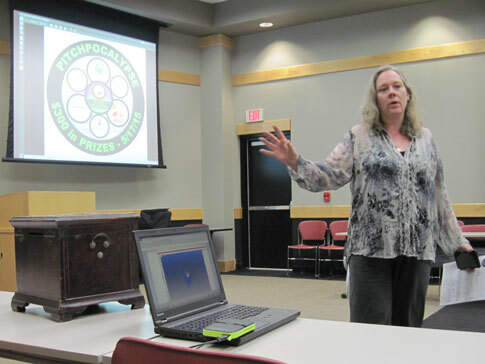 Heather Pendrak, a local high school teacher, won first place in ReBuildUp, LLC’s “PitchPocalypse” business plan contest held at Greensboro Central Library on Sunday, May 17th sponsored by Summit Credit Union. Heather’s winning idea was for a 3D scanning company that scans finished goods for furniture market clients and others creating files that can easily be printed out using 3D printers. The name of her new venture is Pendragon 3D Arts. 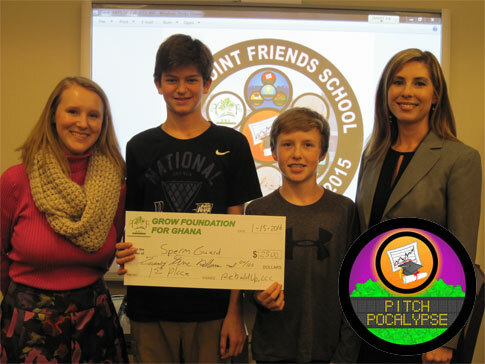 As the first place winner, she will be receiving $200 for her new company, one year membership to the Greensboro Chamber of Commerce, three months of accounting help from Michael Robinson Accounting, LLC., and access to Elon’s Business Clinic. 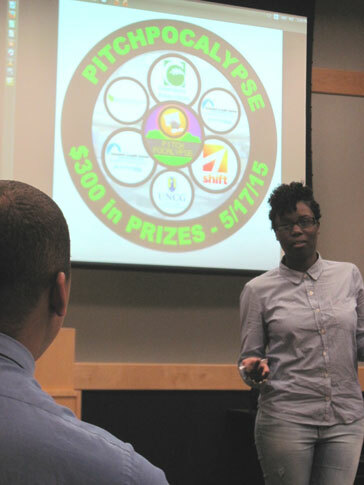 Second place went to Destiny Riley, a rising Senior at UNCG, for her startup specializing in replacing toxic nail products with safer ones for area salons. 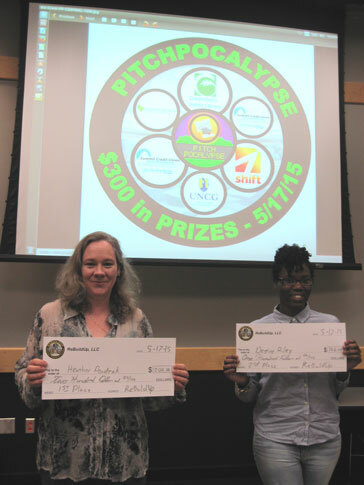 She won $100 along with Greensboro Chamber membership, three months of accounting help, and legal assistance from Elon’s Business Clinic. Both entrepreneurs now move on to ReBuildUp’s “Startup Test Flight” three month class to test out their business concepts in the real world. 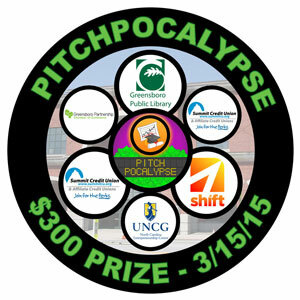 Once completed, both become eligible for micro loans up to $5,000 each from the Greensboro Community Development Fund. 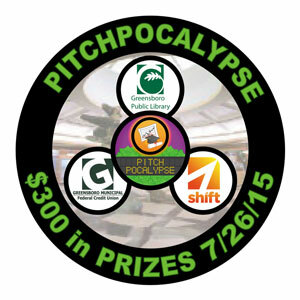 The next Greensboro ReBuildUp Course and PitchPocalypse is planned for late July again at Greensboro Central Library. 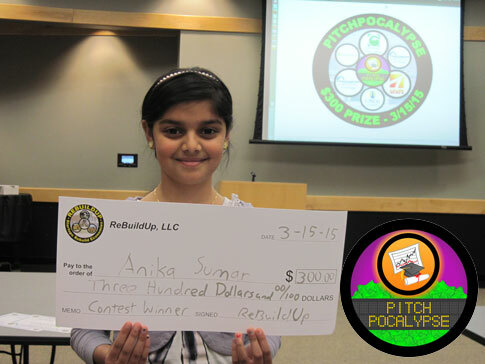 Congratulations to Anika, a 10 year old 5th grader who won our Sunday, March 15th PitchPocalypse business plan contest sponsored by Summit Credit Union at Greensboro Central Library. 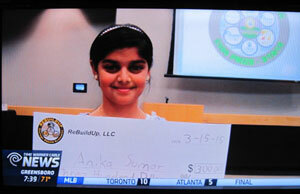 Featured on News14 that night and into the next day, Anika’s winning idea was for a line of seasonal curtains to make it easier for people to decorate during the holidays. 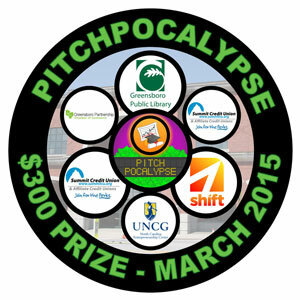 WFMYNews2 was also kind enough to shine the spotlight on our PitchPocalypse winner from Sunday’s event at Greensboro Central Library sponsored by Summit Credit Union. 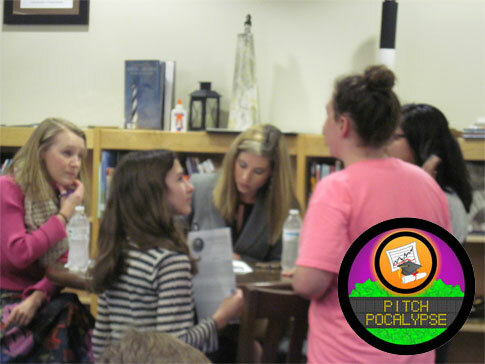 To qualify for the PitchPocalypse, Anika joined fellow preteens and teens in the ReBuildUp Course events playing a series of business mini-games that focused on economic fundamentals, idea development, and marketing tricks. 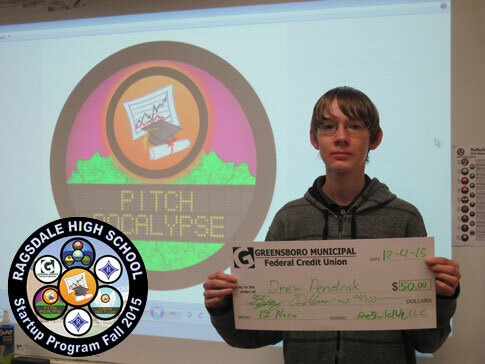 Both events are part of ReBuildUp’s Startup Program that helps aspiring teen entrepreneurs test the waters of small business for a three to six month period with monetary, networking, accounting, and legal filing assistance. 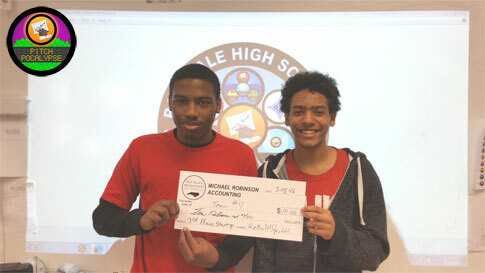 As the winner, she will be receiving $300 towards launching her new company, one year membership to the Greensboro Chamber of Commerce, and six months of accounting help from Michael Robinson Accounting along with free legal help filing incorporation papers from Elon University Business Clinic. 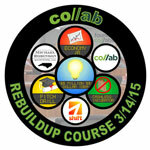 ReBuildUp plans to hold the next Teen ReBuildUp Course and PitchPocalypse in the summertime. Holding these events for adults 20 and older is also being discussed for the spring. 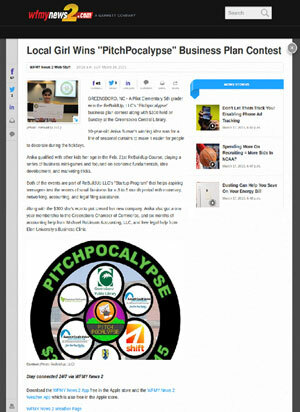 Triad News 14 was kind enough to film our Sunday, March 15th, PitchPocalypse event at Greensboro Central Library sponsored by Summit Credit Union. It will likely air tonight (Sun. 3/15/15) and/or tomorrow (Mon. 3/16/15) on local cable channel 14.